Summer seems to have arrived in London and a trip down to one of my preferred gig venues The Borderline sounded like the ideal thing to do on a Tuesday evening. Well at least I think I'm in The Borderline...the old Mexican Cantina ambience has been replaced with a more upmarket and modern club vibe. We are, most definitely, not in Kansas anymore and it’s so refreshing to see a venue investing in the future with a very cool refit. For those of us who've been visiting the place since the early 90s it might seem a little strange initially but it works for me. Opening proceedings this evening is the husband and wife duo of Ray Hughes and Sian Chandler aka The Black Feathers. We've covered the duo briefly in the past at RGM and I was very keen to finally catch them in the flesh after a near miss or three. They didn't disappoint with a hugely impressive set that reinforced the theory that a single guitar and two perfectly matched voices can be golden. 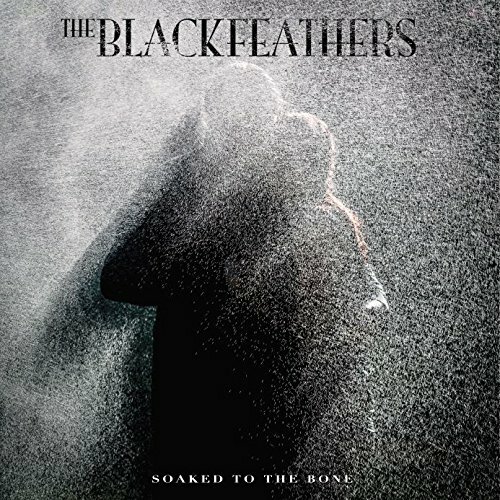 The Black Feathers have the voices and the songs, ‘Arclight’ is especially gorgeous, but more than that they have a certain chemistry that you just can’t bottle. The way in which the couple interact on the harmonies is a joy to behold and the use of a single microphone helps to create an atmosphere that holds the viewer / listener enthralled. The mic was expensive, they told us, but the result makes delaying a council tax bill a no brainer. It is this interaction that keeps a rapt crown on tenterhooks, not really quite sure when to applaud and believe me we were very keen to do so. Needless to say it’s always far better to receive too much applause than none at all. The pair displayed an engaging stage manner as they recounted how their recent travels in the USA had impacted on their songs and even slipped in a really wonderful cover of ‘Spirit In The Sky’ which they made their own. The Black Feathers are a class act so if you get the opportunity to see them live do so. Their excellent debut album ‘Soaked to the Bone’ is out now. 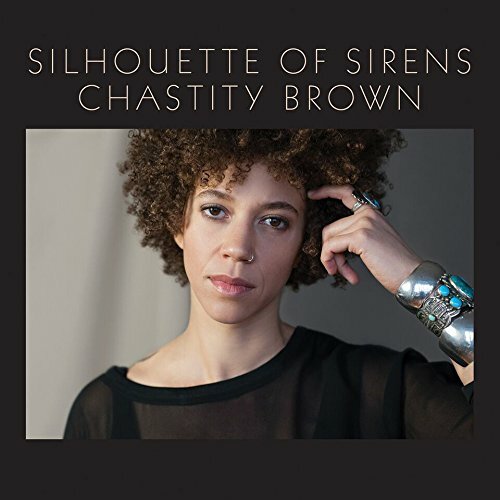 Speaking of class acts they don’t come much classier than Chastity Brown. Raised in Tennessee, but now based in Minnesota, Chastity Brown has had a slow burn of a career thus far. She began to get noticed in the UK when her 2012 album ‘Back-Road Highways’ was released this side of the pond in late 2014. She toured the UK that year culminating in a prestigious slot on BBC TV via ‘Later with Jools Holland’ performing ‘Colorado’ which at the time was unreleased. I might be reading too much into this, but when you get a national TV spot and you perform a track not on your latest album…respect. Chastity Brown photography by Michael Hingston. 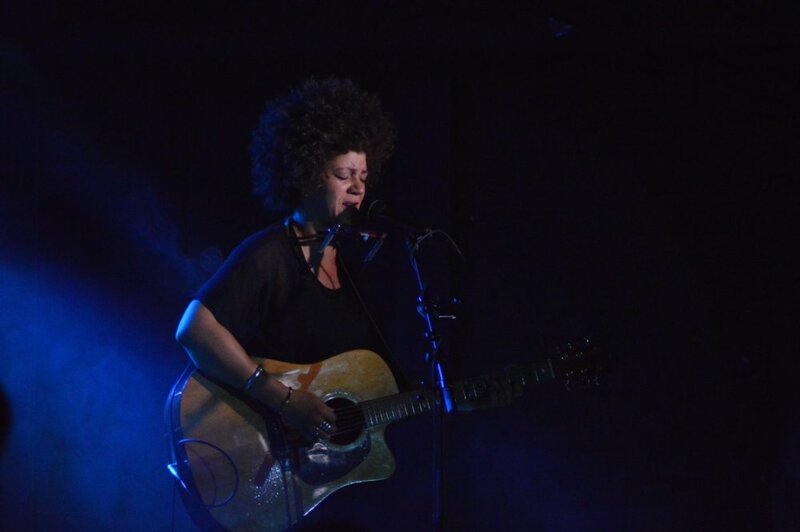 Nearly three years later, Chastity Brown is back in the UK and headlining The Borderline in support of her new ‘Silhouette of Sirens’ release on the respected Red House Records label. There is a very solid turnout this evening despite it being a school night, Chastity remarked that she was very pleased to see more that fifteen people in the crowd (plenty more as it turned out) which tells you everything you need to know about the music business in 2017. The important thing was when Chastity took to the stage, not one person stayed seating at the back of the venue which was a pleasure to see. ‘Silhouette of Sirens’ is a terrific record, full of great songs performed by a very versatile vocalist. These qualities were very evident on the night where the songs were performed as a duo with no compromises or lose of quality. 'Silhouette' may have taken some time to arrive but it does mean that the songs have been heavily road tested to iron out any kinks. There is no waste here; everything is lean, hard and edgy when required, seductive and smooth as silk at other times. Chastity is joined tonight by guitarist / vocalist Luke Enyeart who adds carefully placed electric guitar to flesh out the sound, his single note flurries giving the songs a widescreen cinematic gloss (he also threw in some pretty mean slide licks when required). The sound this evening was wonderful from my vantage point so it might be safe to assume the refit has gone beyond a lick of paint and some nice seating. As I hinted at earlier Chastity seems pretty down-to-earth and really stoked to be doing what she does. She’s also not afraid to laugh at herself...If you’re gonna go all Bob Dylan, remembering you need your harmonica kinda helps, but she was unfazed. Tonight’s performance caught an artist who, in another time and place, would be selling records by the truck load, so get along to a show, buy ‘Silhouette of Sirens’ and I believe you’ll be able to brag to anyone that’ll listen that you were there at the beginning. Chastity Brown might be ten years into her career but it still feels like the beginning of something very special indeed. Many thanks to Michael Hingston for his terrific live photography and the ever wonderful Lizzie Evans for sorting things out.